The Lagos State Governor, Akinwunmi Ambode, has urged residents of the state to conduct themselves peacefully at polling units and shun any act of violence that could threaten the general elections on Saturday. The governor, in a statement issued on Wednesday by his Chief Press Secretary, Mr Habib Aruna, said Nigeria was on a threshold of history as the outcome of the elections would be a defining moment in the nation’s political landscape. He said it was important for the electorate to see the exercise as one that they must not sit on the fence but come out to exercise their franchise in a peaceful manner and not to sit on the fence. Ambode said, “As we prepare for the Presidential and National Assembly elections, I appeal to every Lagosian to ensure that the peace we have enjoyed in the last four years in the state is replicated across all the polling centres on Saturday. 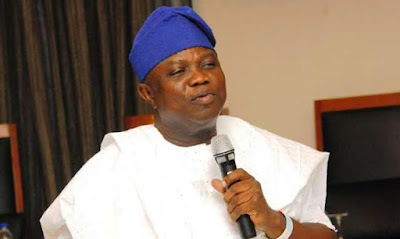 The governor, who said he would be casting his vote for candidates of the All Progressives Congress during the elections, said that Lagos, in the last four years, had benefitted from the President Muhammadu Buhari administration. “The fact is that since 1999, Lagos did not benefit from the Federal Government under the Peoples Democratic Party the way it has benefited in the last three and half years. “Beyond reasonable doubt, President Buhari has shown his love for Lagos and under his administration, the state has thrived. It is important that we continue on this trajectory for another four years,” the governor said.